I'm trying to import and run the IntelliJ git4idea (Git Integration) plugin in order to play around and contribute some of my own code. I've pulled the Intellij community edition from the github repo, and imported the git4idea plugin as a project. I'm running the Intellij community edition. 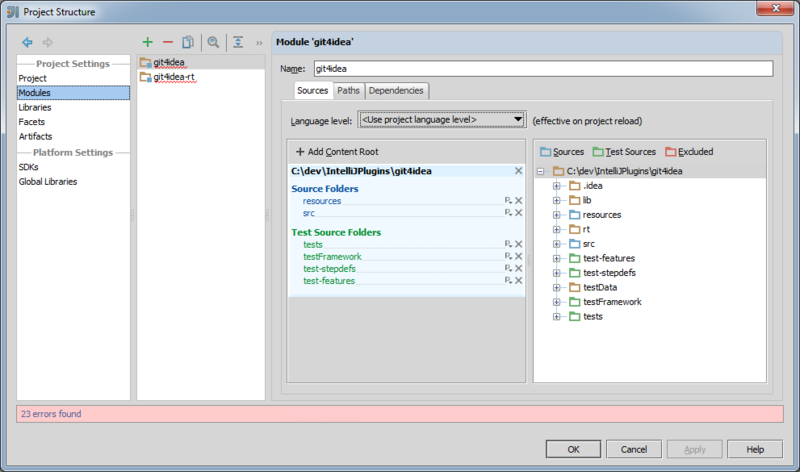 After importing all the modules, the git4idea module comes up as a general module type, and not a plugin module type. under "Use classpath of module", instead of of the ability to select the git4idea plugin. This obviously results in a "Run configuration error: no plugin module specified for configuration". So the question is - How can I change the general type of imported "git4idea" to plugin type? Or better yet, what are the steps required in order to import and build/debug/run a plugin from the Intellij community edition repo? The easiest answer to this is "don't". The IntelliJ IDEA Community Edition project is set up to be developed as a whole, and the dependencies are set up accordingly. If you want to hack on the Git plugin, you simply run IDEA using the provided run configuration, it runs with all plugins enabled, and you simply make whatever changes you need and test them using the main run configuration. If you really want, you can set up a new plugin module and point it to the source code of the git4idea plugin inside the IntelliJ IDEA Community Edition Git checkout. This is not too hard, but it's something you'll need to do from scratch, and you can't use the existing .iml file. Well, after creating a new project, rearranging and manually defining dependencies I was able to run the plugin. Could you please write a quick tutorial for how to run the community plugins either as a single plugin or all together. 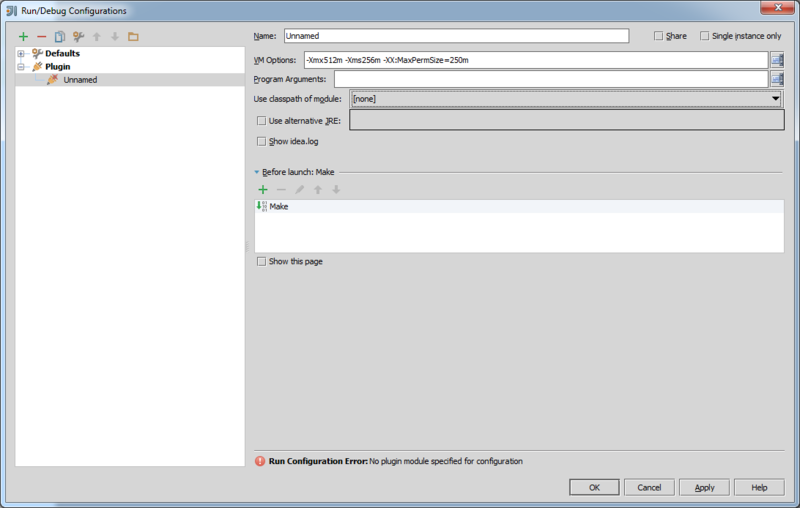 Even better, how to enable one or more of the plugins in a Run configuration? I'm trying to run these plugins in order to debug and see what goes on as I perform different actions in order to learn the ins and outs of plugin development. Simply open the IntelliJ IDEA Community Edition project and run it. It runs with all plugins enabled; you can debug anything you like.